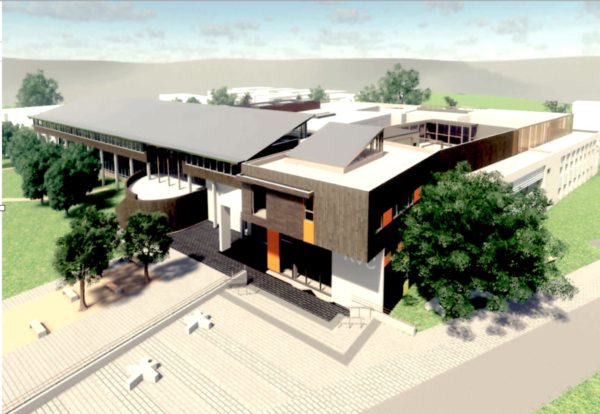 The Royal Veterinary College is looking for a builder to deliver a £25m hub building at its Hawkshead Campus in Hertfordshire. Architect NORR has submitted designs for the new three-storey building at the heart of campus, located in Brookmans Park. Works would involve demolition of the majority of the existing main clinical block and reprovision of office and research space. The demolition will leave the CEEED exotic disease building in place. A new 70,0000 sq ft hub of new will be created connecting to two existing modern buildings. These new spaces will include a 430 seat lecture theatre, teaching spaces, library, category 2 research laboratories and staff offices. The architect is supported by mechanical and electrical engineer Aecom and structural engineer Conisbee. A planning application was submitted at the end of November is expected to be heard in February. Tenders are due to be returned in June. Interested firms can find more information on the procurement site.